J&J Vinyl Fence, the premier vinyl fence contractor serving residential and commercial fencing needs of Los Angeles County since 1978. Family owned and operated business specializes in constructing vinyl fencing and gates, including vinyl privacy fences, semi-privacy fences, automated gates, manual gates, and more. 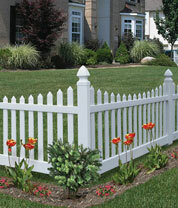 Call us today for a free estimate & get 10% discount off your first J&J Vinyl Fence installation.